Usually apartment or condominium complexes, independent living communities can be ideal options for older adults who are ready to downsize to a smaller home but who value their independence and don’t yet need daily care. Once you or your loved one has decided that independent living is the best option, your next task becomes finding the right community for you. The resources on this page are designed to help you make the best decision for yourself and your family to find a community that feels like home. When you research the pros and cons of moving to an independent living (IL) community, you learn a great deal about housing, transportation, and other practical details. But ask residents of IL communities why they made the move — and why they’re happy about it — and you’ll hear some surprising answers. Here are five lesser-known, but no less important, reasons people choose independent living. Reason #1: I want better access to my favorite sport. Whether it’s the proximity to a golf course, the availability of tennis courts, or the selection of state-of-the-art gym equipment, recreational sports and fitness are among the biggest draws of independent living. 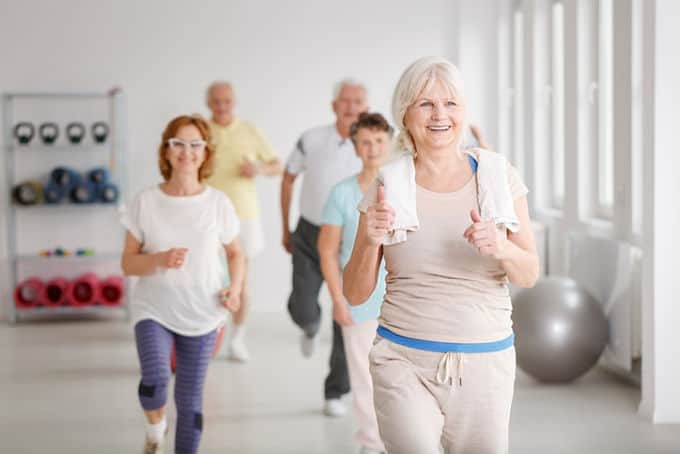 In fact, do a quick search of independent living communities in your area, and you’ll see that many fitness features are almost universal; even smaller independent living communities typically have gyms, fitness classes, walking paths, and even swimming pools. When it comes to golf, some senior living facilities have their own golf courses, others have affiliations with private clubs or provide shuttle transportation to community courses. Then there are the more specialized sports; some senior communities have equestrian centers, others have fishing and boating. If there’s a sport or recreational activity that defines your weekends, look for independent living communities where you can indulge all week long, and you know you’ll be a happy camper. Reason #2: I want to meet someone new. Let’s face it, meeting new people isn’t easy when you live on your own and socialize primarily within a circle of old friends. And when it comes to dating? Forget about it — you’re stuck with friends’ introductions and online dating sites. Independent living is the perfect antidote because socializing is automatic, no planning or effort needed. Whether you meet a new partner or just expand your circle, you’ll no longer find it a challenge to get out of the house and discover new friends. Reason #3: I want to go back to school. A recent report on MSN Real Estate detailed the rise in university-linked senior living communities, of which there are more than 60 in the U.S., with 30 more being built or planned already. And we’re talking top-name colleges and universities here, including Stanford, Oberlin, Dartmouth, and the University of Michigan. If you’re a baby boomer, this trend really should come as no surprise, since this generation is notoriously big on continuing education and self-improvement. Why wouldn’t that continue — and even flourish — once you have more time to devote to learning? Even if you don’t happen to have a major university in your area, that doesn’t mean independent living with an education focus isn’t available. In addition to offering a large selection of classes onsite, many independent living communities provide transportation to local community colleges and adult education programs. And many bring authors, academics, and other experts in to give lectures and readings. Reason #4: I like to eat at restaurants. If you’d rather meet friends for dinner or cocktails than cook for yourself, you’re not alone. For women especially, cooking loses some of its luster after years of putting meals on the table for the family night after night. Independent living communities vary a great deal when it comes to emphasis on food. Simpler facilities, particularly those that are all in one building, may offer a single dining room with a set meal plan, while larger communities may feature several restaurants and cafes on site to choose from. If eating out is a favorite activity of yours, you should be able to find an IL community with a wide variety of dining options as well as convenient transportation into town. Reason #5: I need to get in shape. With the wealth of research now showing that exercise is one of the easiest and most effective ways to stave off heart disease, Alzheimer’s and dementia, diabetes, and a heap of other age-related ills, you’d be right in thinking that upping your exercise quotient is a worthwhile goal. But for many of us, exercise isn’t highly appealing unless there’s a social angle involved; we can’t imagine getting up early to go running, but meeting friends for an afternoon walk or dip in the pool is good fun. If this is you, check out the group exercise options when you tour independent living communities. Yes, the gym looks fabulous, but what good does that do you if you won’t go? Instead, ask about dance and yoga classes, group hikes, handball tournaments — whatever sounds like it would motivate you to break a sweat. How to choose the right senior independent living community can feel highly stressful — how can you tell in advance which community is right for you? After all, what seems fabulous to your best friends might seem stuffy or overly lively to you, and vice versa. The good news, though, is that if you ask enough questions and spend enough time visiting each community, you’ll know when it feels right. To get you started, here’s a checklist of what to research online, questions to ask about independent living facilities over the phone, and what to look for when you visit. Check reviews: What are the comments and reviews from the Better Business Bureau, your local Area Agency on Aging, and here on Caring.com? Do you have any programs to help with the transition process? Are there handicapped-equipped units, should you need one at some point? Is there a community center and, if so, how large and well equipped is it? If there’s a sport you enjoy, such as swimming, tennis, or golf, is there a pool, courts or a course? 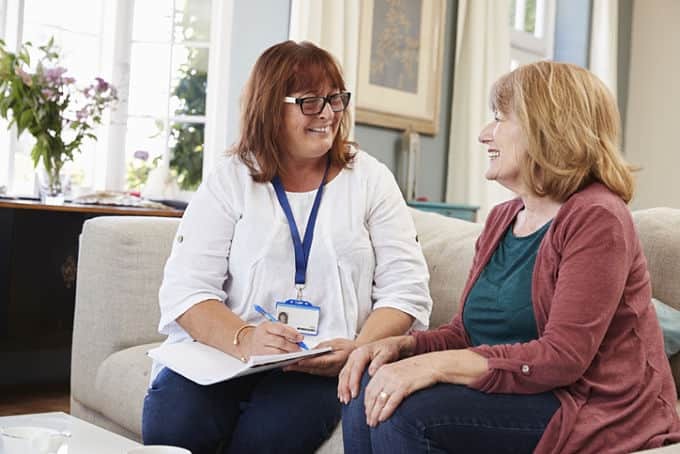 Does the community work with an agency or registry that provides in-home care companions in case you need assistance in the future? Is there a clinic or medical unit within the independent living community? If so, what specific services are available from doctors, nurses, physical therapists, and others? Does the community work with an agency or registry that provides nursing and medical assistance in case you need it in the future? Copies of leases, contracts, etc. Once you’ve narrowed your choices down to a few favorites, schedule in-depth follow-up visits and dig a little deeper. Start your search for an independent living community.